There’s a simplicity to first concept books that makes it incredibly difficult to create something original while still appealing to the target audience. So please give an extra loud round of applause to illustrator Alice Melvin for succeeding spectacularly on both counts. Not only are her set of board books for Tate Publishing astonishing beautiful thanks to her exquisite paper-cut artwork, but Baby Bookworm completely adores them too. The series centres on a young family going about their daily life, with each spread featuring a word or two linked to the book theme. Me and You: a Book of Opposites and My Day: a Book of Actions came out earlier this year and what immediately struck me when I saw them was the very contemporary feel of the family unit, contrasting wonderfully with the rich, classic materials used for the illustrations. For example, in My Day, we follow the baby from waking up to bedtime, but it is his dad who does the school run, hangs up the washing and makes dinner while his mum goes out (presumably to work). There’s also a subtle storyline running through each of the books to link the concept together and there’s a reality to the scenarios, like the image of the mum pushing the baby through the rain in Me and You. He is ‘dry’ under the raincover while she is ‘wet’. The latest pair come out next month and are equally atuned to modern life without feeling contrived. There’s a gorgeous autumnal feel to I Am: a Book about Feelings as the baby and his sister play in the leafy garden, arguing over the scooter, overcoming fears of the cat and picking apples. All of Us: a Book about Family introduces the people in the baby’s world, one by one, culminating in his second birthday party and a cake with candles to blow out. 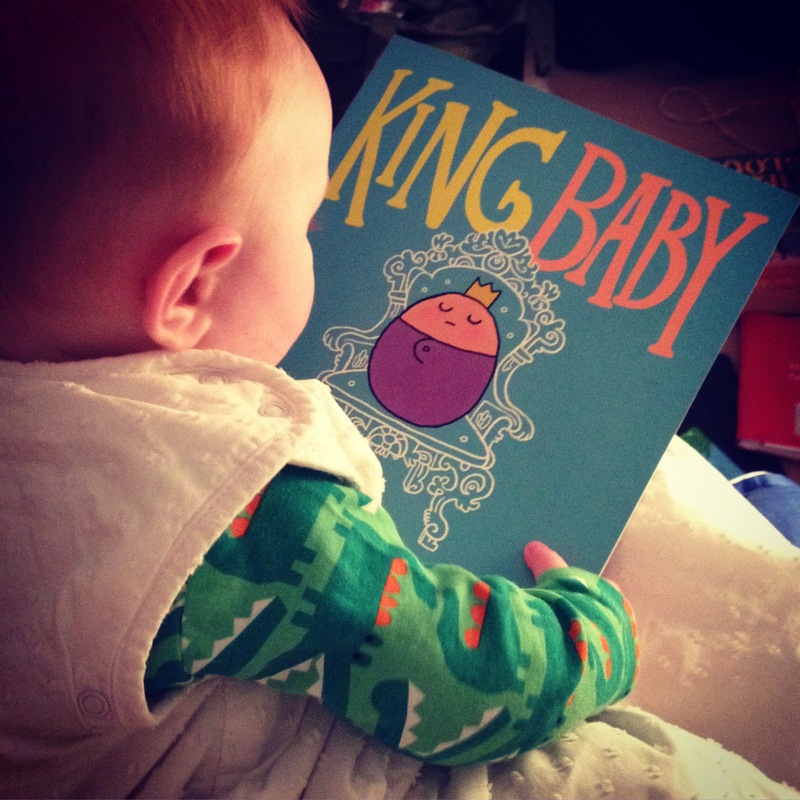 Baby Bookworm loves to chat about the baby, point to things of interest in the illustrations and discuss what is going on. They engage him from the moment you turn the first page. And the artwork! Where do I start? The intricacy of the paper-cutting, the clever details and the rich fabrics make these books something to treasure. You’ll marvel at the delicate confetti at the birthday party and the vegetables on the children’s plates. These books really are a cut above and a wonderful way to help your child learn more about their world.